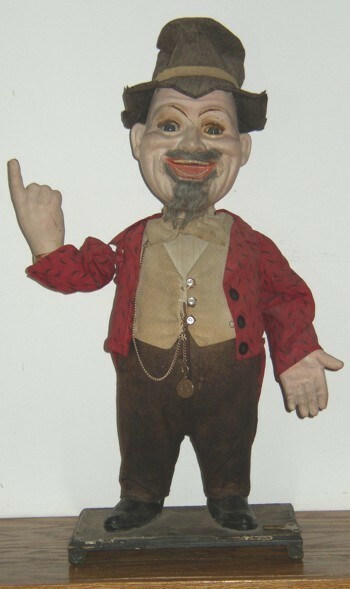 This wonderful clock work automaton is in good original condition. It is 24” tall. The clock work works could use some adjustment.